Attorneys’ stock in trade is story. If that is our tool, shouldn’t we know what a story is? Shouldn’t we know how to create a story? Aren’t we like the director of a movie painting word pictures with scenery, characters, conflict, drama, and resolution? Until we think of ourselves like that, we will never fully understand how to present compelling trials for our clients. A story is centered in the existence of an inciting incident, conflict, and resolution. Without conflict, you may narrate, but you aren’t telling a story that anyone will care to hear. I answered, “An easement case is a dispute, neighbor against neighbor, over whether someone is stealing the other’s property. What could be higher drama than that?” At trial, the jury ruled unanimously for my client because, I believe, of my client’s dramatic, tear-filled description of her feelings of desperate hopelessness as stood on her property in knee-deep water, helpless to protect her home against the flood directed at their home by the violation of the easement. That is drama! The inciting event was the violation of the easement. The conflict was the emotion-filled dispute between neighbors that continued to play out in front of the jurors during trial. The resolution of the conflict was the jury’s verdict. Do you think the jury felt their time was well spent in hearing that case? I do. Tommy L died in the M Hospital major trauma center four hours after he exited a C. Unified School District bus at the wrong stop. He was barely seven years old and was riding the bus for the first time. His family had moved from New York to California so his father could spend more time with his two small children. At trial, the jury ruled that the District was not negligent. This appeal presents the issue of whether a school district breaches its duty of care, as a matter of law, when it allows a seven-year-old child, riding a district-owned bus for the first time, to exit at the wrong stop, particularly when during an introduction that morning the driver had directly assured the mother he would “watch out” for Tommy. The April afternoon sun beat down on Barbara L and her five-year-old daughter, Katie, as they sat on the curb at Tommy’s bus stop. Katie was anxious for her brother’s bus because they were going to get ice cream to celebrate Tommy’s first day on the bus. Time passed. The bus was late. Barbara and Katie were talking to pass the time till Tommy got home. “When will Tommy get here Mommy?” asked Katie. “Soon, Katie,” Barbara said, but Barbara was worried. The bus was very late. While they waited, Barbara listened to several sirens at the bottom of the hill. Barbara and Katie waited. [Barbara L, R.T. 552:20-555:13]. A weird feeling came over Barbara. A man in a white pickup truck went by and said, “Do you know the roads are blocked up on either side? I think there’s an accident or something down at the bottom of the hill.” [Barbara L, R.T. 555:17-556:1] Barbara picked up Katie and ran to get her car. She drove down the hill to see if the bus had arrived at that stop. [Barbara L, R.T. 556:2-14] As she rounded the bend, she saw the bus, and children milling around, and several sheriffs’ cars with lights flashing. “Something’s wrong. I have to get Tommy away from this,” Barbara thought. But she did not see Tommy. She got on the bus to get him. He was not there. She left the bus and found the bus driver. “Was that my son? Was that my son?” she asked. The Driver retorted, “I don’t know lady.” [Barbara L, R.T. 555:8-557:5]. It was Tommy. Tommy L died in the M Hospital major trauma center, four hours after the Driver let him off the bus at the wrong stop. [Barbara L, R.T. 562:13-19] He was seven years old, and was riding the bus for the first time after his family had moved to California from New York so his father could spend more time with his family. The morning of Tommy’s death, Barbara L and Tommy met the Driver at Tommy’s stop. [The Driver R.T. 147:11]. Barbara introduced Tommy to the Driver. [The Driver: R.T. 147:14-22]. The Driver knew it was Tommy’s first day because he had never seen Tommy before. [The Driver R.T. 147:26-148:2]. Barbara said, “Our family has just moved in.” [The Driver R.T. 148:3-5]. “This will be our stop.” [The Driver R.T. 148:21-23]. She said, “It is Tommy’s first day on the bus,” [The Driver R.T. 147:23-25]. “Could you please watch out for Tommy?” [The Driver R.T. 149:2-4]. The Driver said, “Sure.” [The Driver R.T. 149:5-8]. Barbara gave the Driver a check and Bus application for Tommy. [The Driver R.T. 149:9-12]. The Driver never looked at the check or the Application. [The Driver R.T. 149:13-150:18]. The Driver said “Hello Tommy.” [The Driver R.T. 152:2-3]. Tommy responded, “Hi.” [The Driver R.T. 152:4-5]. Tommy boarded the bus. The Driver closed the door, and drove the bus to school without incident. After school, Tommy climbed into the bus, although the Driver did not recall Tommy getting on the bus. [The Driver R.T. 159:25-26]. When the bus stopped at the Stop, Tommy exited the bus. The Driver did not recall anyone that got off the bus, [The Driver R.T. 167:16-20], and specifically did not recall Tommy exiting. [The Driver R.T. 167:7-9]. The Court of Appeal did something no one expected. It ruled that as a matter of law, the district was negligent and remanded the case to the trial court for trial on the issue of damages. The district filed for hearing in the State Supreme Court, but to no avail. On remand, the case never returned to trial because the district settled. I feel the Court of Appeal was moved to act as it did because the brief expressed the human drama of a family’s loss rather than a recital of cold, dead legal issues. MY RECOMMENDATION FOR MODERN TRIAL ATTORNEYS. 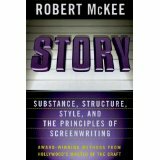 Purchase Robert McKee’s book, “Story, Substance, Structure, Style, and Principles of Screenwriting.” McKee is the master. He and his students have written the screenplays for almost any quality movie you can name. Study the book. Learn the elements of dramatic storytelling. Invest your trials with drama. You are the director. WANT TO USE THIS POST IN YOUR NEWSLETTER, WEBSITE, OR BAR ASSOCIATION PUBLICATION? Steve Young publishes the YoungonTrials blog.